You’ve got a lot of options when it comes to exterior doors in Green Bay. From entry doors to storm doors and everything in-between, it can be difficult to find the right exterior door for your home. In this post, we’re going to go over each type of exterior door (storm, screen, entry and patio) and what to look for to find the right door that will meet your needs and budget. So let’s get started! Safety and Security – your new exterior door should have a durable lock and be made with strong materials like steel or fiberglass to make it harder for criminals to pry open. Looks – let’s face it, no one wants an ugly door on their home. You’ve got to have a door that will appeal to you, your neighbors and potential homebuyers in the future if you decide to sell. Durability – you live in or near Green Bay, WI. So of course your door has to be tough as nails to get through these tough winters and stay looking good. 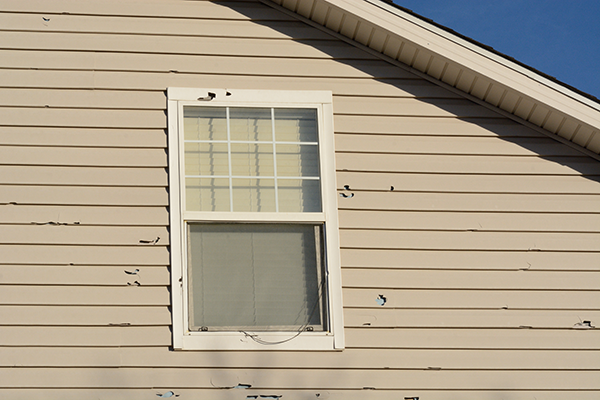 Affordable – we all don’t have unlimited funds to go towards a new door for our homes. Your new exterior door has to stay at or under budget. There are a few types exterior doors including entry doors, storm doors and patio doors. Let’s go over each type of exterior door and what each one can do for you. Although an entry door can basically be any door that allows you to enter your home, the most common door that people think of when you say, “entry door” is a front door. Front entry doors vary greatly and have a number of options including sidelights, transoms, full glass, half glass and there’s also a number of different entry door lock options to choose from. Sidelights – glass panels that are installed on either side of your entry door. You can have just one sidelight or have one on both sides of the door. Transom – a glass panel that goes directly above your door. These can come in different shapes like half-moon transoms or a standard, rectangular transom. Full Glass Entry Doors – “full glass” refers to how much glass is on the door itself. If the glass goes from the top to the bottom of the door, then it’s considered a full glass entry door. So which entry door is right for your home? Consider how much light that you’d like coming into your home from your front door. If you find that your entry way is currently dim and not bright enough, go with a full glass entry door with sidelights and a transom to make the most of the sunshine outside. If you’re more security-minded, think about getting a steel entry door with no glass and a deadbolt lock. There are lots of designs available for steel entry doors that will make them look great while providing maximum security for your home. Other features to think about with entry doors are kickplates and door knockers. These are always optional features but can add a touch of class to an otherwise plain-looking door. Other possible additions include a peephole or a dog door for your entry door. Storm doors go in front of your existing or a new entry door to protect it from rain, snow, hail and the sun’s heat. 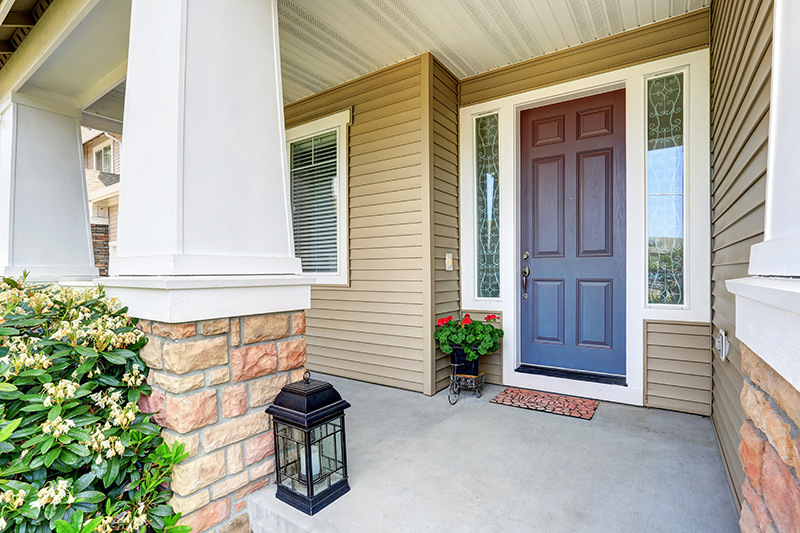 It’s a good idea to have a storm door if you’ve invested a lot into your entry door or if you like the look of storm doors and would like the option of keeping your entry door open while keeping bugs out. 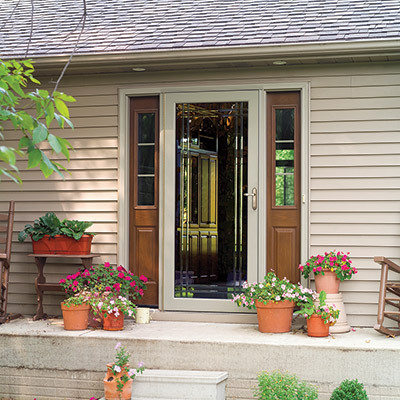 Storm doors can have both full and half glass or screens – or both. Some storm doors have the option of a screen and a full panel of glass that you can swap out at anytime. This is a great feature for people who want a screen door in the summertime and glass in the winter to protect the entry door or just to let more light into the house in the winter. A more recent innovation in storm doors has been retractable screens. So if you want some fresh air, you can pull down the glass while rolling down a screen on your storm door. 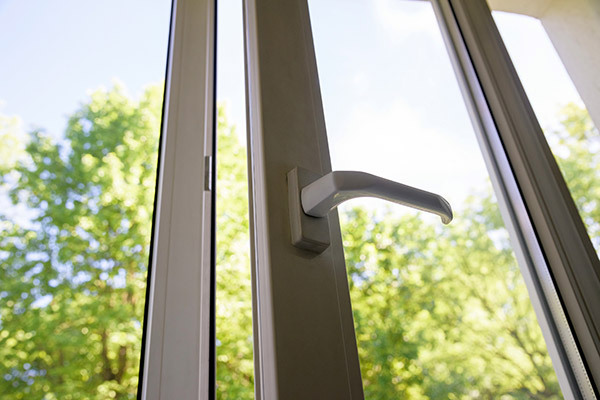 Quiet Operation – make sure that the storm door you choose is made with quality components that don’t squeak or rattle. Nobody likes a noisy storm door. Removable Screens – if you like the option of having both a storm and a screen door all in one, make sure to get one with either a removable or retractable screen. Insulated Storm Doors – go with a foam core insulated storm door if you’d like to save more on your heating and cooling bills. 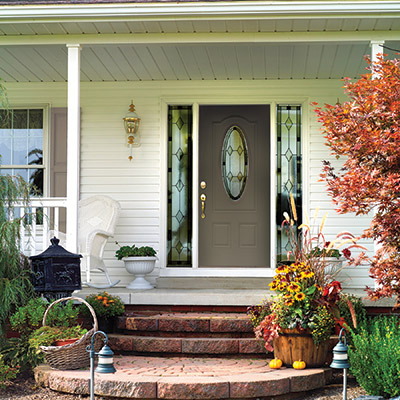 Most people don’t know that a good storm door will improve your front door’s R-value or insulating power. In the world of patio doors, there are three major types of doors: single entry doors, french patio doors and sliding patio doors. We previously mentioned entry door options so let’s go into french and sliding patio doors. French patio doors are essentially hinged double or triple doors that lead out into your patio area. Most commonly, these types of doors are full glass along with normal door locks. French patio doors make for a very elegant entryway that looks great from both inside your home and outside your home. 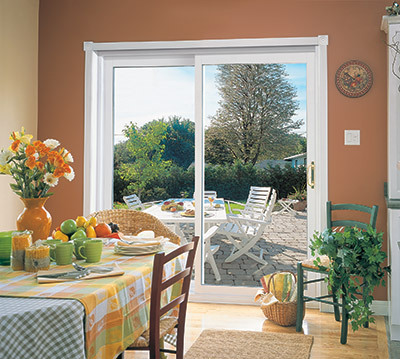 If you’re replacing an existing sliding patio door, these doors will most likely fit in your current door opening without any modifications or construction work. That’s good news for your wallet and your home. If you want to take a different route, try a sliding patio door instead. Sliding patio doors offer a lot of glass and work similarly to a sliding window, except they’re much larger. 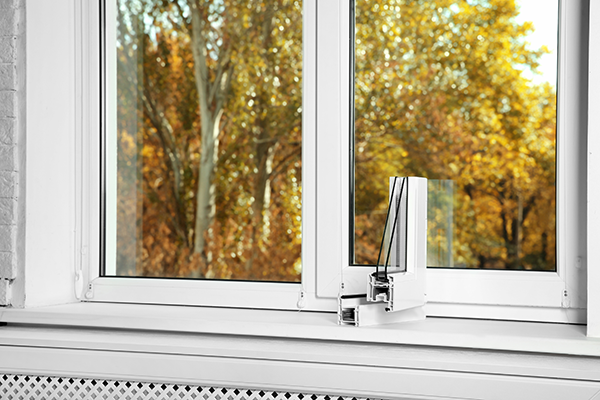 A good sliding patio door will be dual pane and gas insulated, usually with Argon gas filled between the panes of glass. 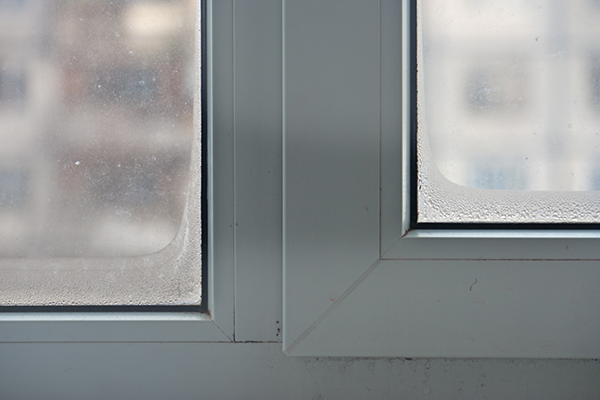 In most cases, patio doors also come with a screen so you can have your door open and let the fresh air in without letting any bugs into your home. Look for a sliding patio door that is custom fit for your home and also one with dependable door locks – after all, this is still an entryway. So which type of patio door should you choose? If you like lots of light and ease of getting to your outside patio area quickly and conveniently, a sliding patio door might be for you. If you value looks, you can’t really go wrong with a french patio door. Both french patio doors and sliding patio doors come with many options from window grid patterns to color and hardware options. Which Exterior Door is Right for Your Green Bay Home? No matter whether you’re looking for a front door, patio door or storm door, you’ve got to find the right company to provide you with an outstanding product, service and installation. Over 350,000 people have trusted Feldco with their door installations, including lots of Green Bay homeowners. Get started with a free quote on your next exterior door project with Feldco.